In 2015, a man’s life captured through his photographs and motion films were found in a dumpster in Reno Nevada and nearly lost forever. The circumstances of how this almost ended up in a landfill, are unknown. Fortunately, someone with the understanding of the importance of this massive collection of film recovered them from certain destruction. 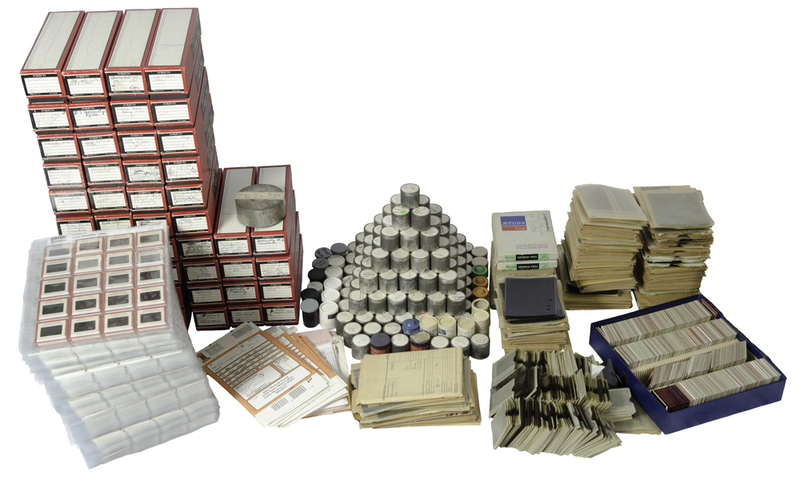 The work spans 60 years and consists of 20,000+ negatives ranging in size from 35mm up to 5×7 inch sheet film. There are also a number of 8mm and 16mm movie films. The work includes a variety of subject matter such as press, marine, architectural, advertising, commercial, industrial, aerial and many important family moments. “His name was Aldo Chiappero. His father was a native of Italy who emigrated to America to escape the new government he believed was becoming a dictatorship. He lived in the U.S then South America before moving back to California where he established himself in the grocery and wine business. Aldo was born in 1912 in Los Angeles while his father was establishing the first supermarket in the city. In 1919 when the Volstead act put prohibition into effect, this upset many Americans but none more than the elder Chiappero who’s wine business now curtailed. Feeling his freedoms were being suppressed once again he returned to Italy in 1925, taking his family with him. Aldo attended school at the Regio Institute Technico Maffei in Torino. Aldo believed Benito Mussolini, prime minister and head of government, was a man who got things done. Among other things, he cleaned up the cities, improved hygiene and health, improved the armed forces and the police, cleaned up the streets, made education compulsary for the first time, and made the trains run on time. He sometimes used brutal methods to achieve his ends, establishing a fascist secret police and the “Blackshirt Army,” and linked with Hitler at a later date to suppress racial minorities. Not agreeing with the ideologies of the new government, Aldo joined the Italian underground in 1933. His job was to speak with other groups and spread propaganda. In 1935 he received information from another underground member that he should not return home that night, the secret police would be there waiting to arrest Aldo. A plan was devised for escape. 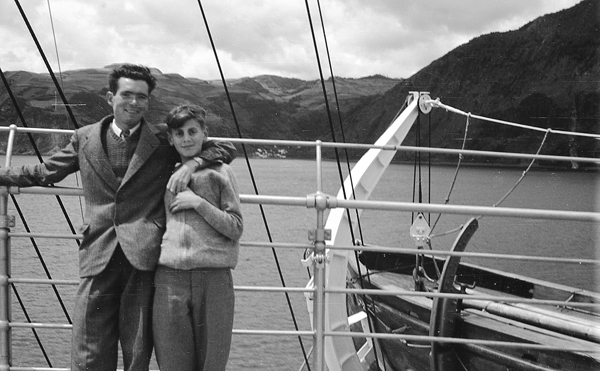 He would depart from Genoa on the S.S. Rex, a ship later sunk in WWII. He moved through the first 4 of 5 check stations with little trouble. At the final checkpoint he was nearly caught when a military officer stopped him claiming he was of age for military service and accused him of trying to flee the country. Aldo’s legal status may sound confusing to Americans, but it was crystal clear to Italian authorities. Italian law holds that once a man is Italian, he is always Italian; his sons, their sons, and on through the male line are Italian citizens no matter where they live. His American citizenship Is also recognized. By United States law, however, American citizens can profess only one loyalty. If they swear allegiance to a foreign flag or serve In a foreign military unit, they lost their citizenship. Since the fascist army at the time had control, the officer was overruled by the political appointee and Aldo was free to go. Had the political appointee been aware of the actual laws at the time Aldo would have been tried for treason, found guilty and sent to the firing squad. He eventually made it to New York on the SS Rex and exchanged 13,000 Lira. A few hours after, Italy froze the Lira. Feeling lucky with his narrow escape he used what money he had to buy a convertible and toured the country, eventually running out of money 3 months later. He then went to Los Angeles to study at the University of Southern California. 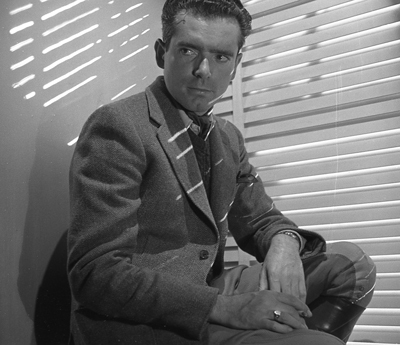 He was manager at Simpson’s Camera Service until 1943 when he established his own photography business in Hollywood. That same year he met and married his wife Madeliene. Not long after the marriage he enlisted in the Navy serving with the Cee-Bees but was soon transfered to the air branch of the Navy. He served as Chief Petty Officer and Chief Instructor of Photography at the Pensacola School of Photography before receiving a medical discharge after the war ended. Aldo left behind an incredible visual history of his life and the times he lived in. One that has inspired me personally, especially as a film photographer, to continue to document the most important things in my own life through photographs. Perhaps one day, my negatives will be discovered by someone after I am gone, who will be inspired in the same way. Aldo passed away on September 24, 1997 at 84 years of age. 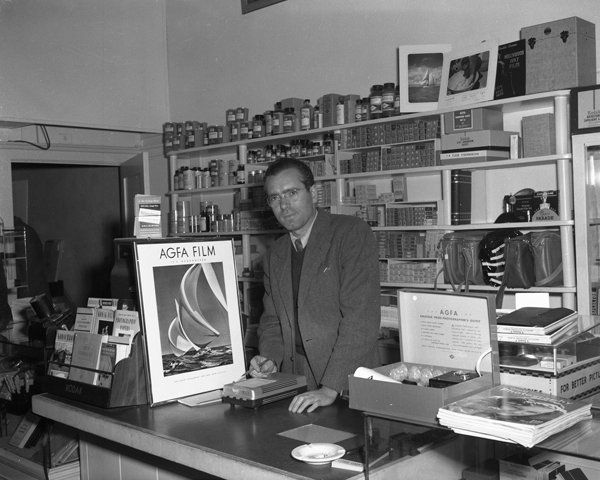 Aldo in his camera store in Hollywood California ,1943. The images currently in the collection are only a small portion of the total number of Aldo’s photographs. As I continue to scan the negatives, I will be periodically updating the site with more photos.